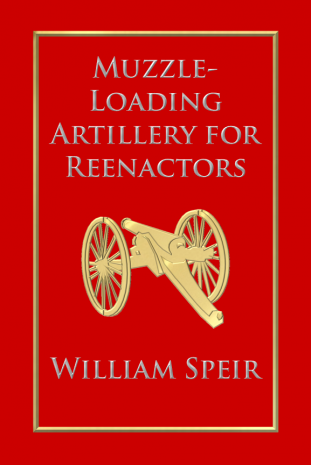 CHAMPIONSGATE, Fla. - Nov. 17, 2015 - PRLog -- Progressive Rising Phoenix Press is proud to announce the release of Muzzle-Loading Artillery for Reenactors, the definitive work on the subject by Award-Winning Author William Speir. The book is based on decades of experience keeping Civil War Artillery Reenactors safe and historically accurate. Anyone serving as part of an artillery crew using muzzle-loading artillery, or anyone interested in the hobby of Civil War Artillery Reenacting, could use this book as a tool. This single volume textbook, based on earlier works by the author, includes information on the nomenclature, ordnance, deployment, command, personnel, and drills for Muzzle-Loading Artillery used in America between 1812 and 1865. The primary focus of this textbook is on Field Artillery – the most common type of Muzzle-Loading Artillery portrayed by reenactors, living historians, and ceremonial units. Drills for Mortars, Naval Artillery, and Heavy Artillery are also included for reenacting groups, living historians, and ceremonial units who use these types of artillery in their portrayals. William Speir was born in Birmingham, Alabama in 1962, and is a graduate of the University of Alabama at Birmingham. He is a recipient of The Honourable Order of St. Barbara award from the United States Army and The Ancient Order of St. Barbara award from the Royal Hutt River Army Artillery. For over 20 years, William Speir has been a Civil War Artillery Reenactor, Chief of Artillery, and Muzzle-Loading Artillery Instructor. In 2004, he wrote a series of Muzzle-Loading Artillery Manuals for the Loyal Train of Artillery Chapter of the United States Field Artillery Association’s Artillery School Instructor Cadre (LTAC-USFAA) and for the Royal Hutt River Military College School of Artillery (RHRMC-SOA). In 2011, new editions of these manuals were produced and were made available to the general public for the first time. William Speir is also an award-winning novelist, writing books in the historical fiction, action adventure, fantasy, and science fiction genres. For more information about William Speir, please visit his website at WilliamSpeir.com. Muzzle-Loading Artillery for Reenactors is available in case-laminate hardcover from the publisher, Amazon, Barnes & Noble, online retailers and select stores. Title is available for wholesale discounts to schools, libraries, non-profits, retailers, and vendors through Progressive Rising Phoenix Press or Ingram/LSI. Review copies and interviews available upon request. We recognize that the publishing industry has changed, therefore we offer the following: higher royalties, significant discounts, print options that authors cannot obtain on their own, and benefits such as Lexile scoring, trade show opportunities, press releases, wholesale discounts for schools, libraries, and retail vendors. Mother's Day! Where Does Love Begin?